If you see yourself having a career in the IT industry you will need to ensure that you have the right skills for the job, including being A+, N+ and Cisco CCNA Certified. These internationally recognised IT and Networking qualifications will allow you to build, troubleshoot and repair computer systems, operate and manage networks of varying sizes and complexity and configure network routers and switches. There are various levels of certification and in order to be competitive you will need to upgrade your skills regularly, however Cisco qualifications are known to be difficult and expensive so it is important to make sure that you receive the necessary training and are well prepared before completing these certification exams. 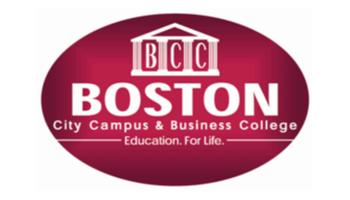 Boston City Campus & Business College is one of the few institutions through which to get your CompTIA and Cisco Certification in Sub Saharan Africa and it offers several courses including the CCNA (Cisco Certified Network Associate Certification), which is specifically for students who have already completed the A+ and the N+ (Network+ ) courses (both from CompTIA). The A+ (CompTIA) Computer Technician course covers the very basics of computers. It provides an introduction to PC hardware and Operating Systems and will equip students with the ability to do basic installation, troubleshooting and repairs of desktop computers and standard operating systems as well as use and configure Windows 7. The Boston Networking Technician course is your entry into networking. The course focuses on the following core subjects: A+ (CompTIA); Network+ (CompTIA); Cisco Certified Network Associate (Cisco). Once completed you will be able to build, troubleshoot and repair computer systems; install, operate and troubleshoot a small to medium size enterprise branch networks and manage and configure basic network routers and switches. The Boston Networking Specialist goes up one level and covers installing, configuring and administering Windows servers in addition to the A+ (CompTIA) and Network+ (CompTIA) courses. There are many benefits to completing your A+, N+ and Cisco Certification through Boston including flexible training times, reasonable exam fees and the most thorough tuition and exam preparation available. One of the biggest benefits of Boston training is that learners have the unique opportunity of completing several exam simulations which recreate the ‘look and feel’ of the real exam ahead of having to sit the actual exam. This proven method has ensured that Boston students receive a high success rate. Career opportunities include: Network Support Technician, Network Specialist, Routing and Switching Support Technician. Registrations for the A+, N+, Cisco Certification and other courses are now open!